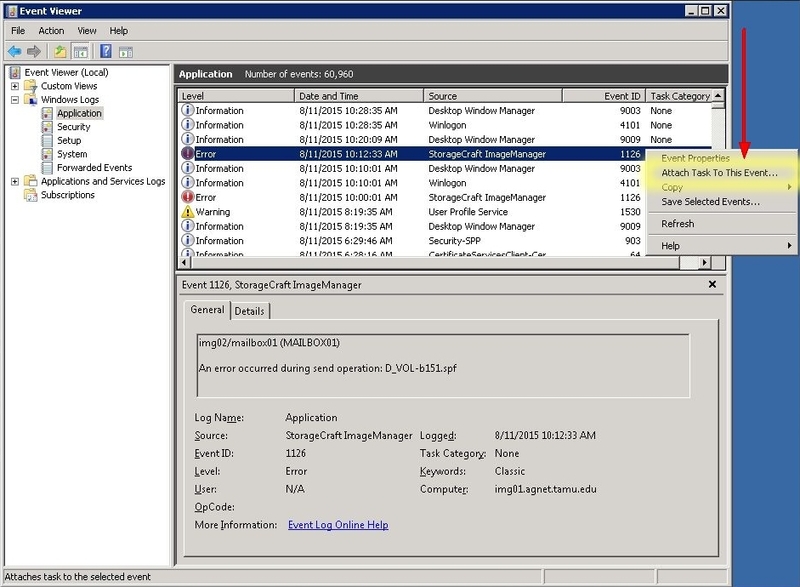 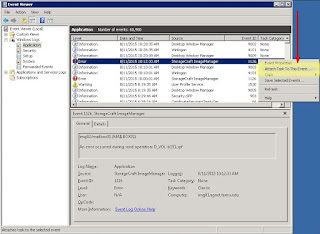 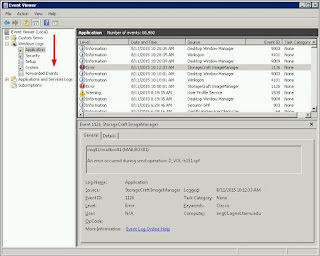 The Event Viewer in Windows can start a Task Scheduler job when a specific Windows log entry is detected. 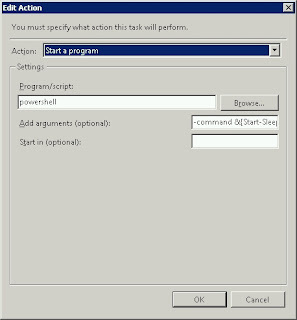 The Powershell command language supports 'horizontal' line command scripting as well as 'vertical' line command scripting. 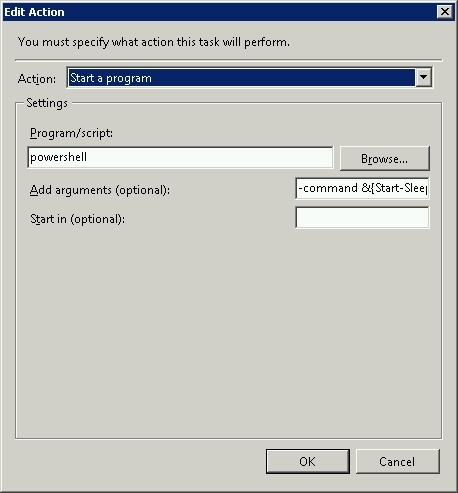 So this can be encapsulated into a single line of instructions. 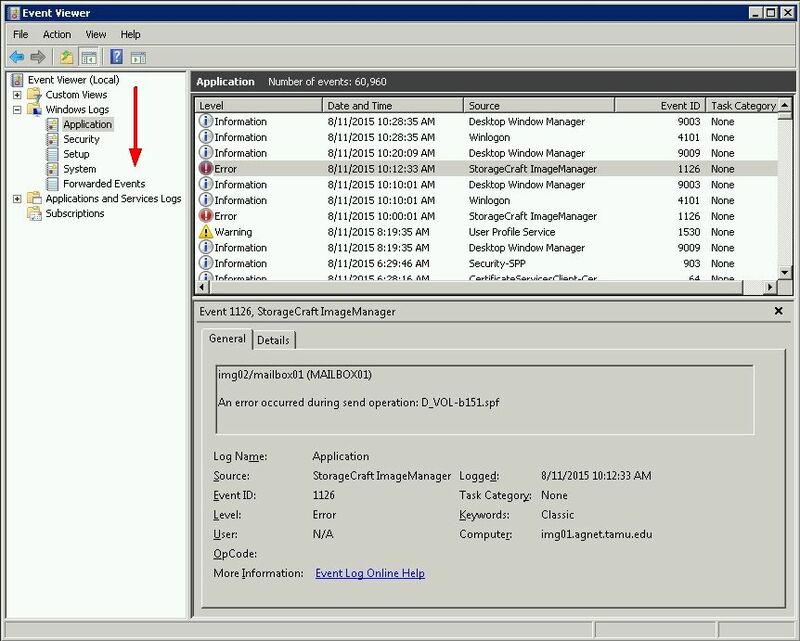 the levels in the central panel indicating "severity" more descriptive "source" and specific "event"
right-clicking an event and selecting "Attach Task To This Event"
in this case the script dictates to enter a sleep cycle for 50 seconds then peform a restart of a registered operating system service daemon with a displayname "StorageCraft ImageManager"